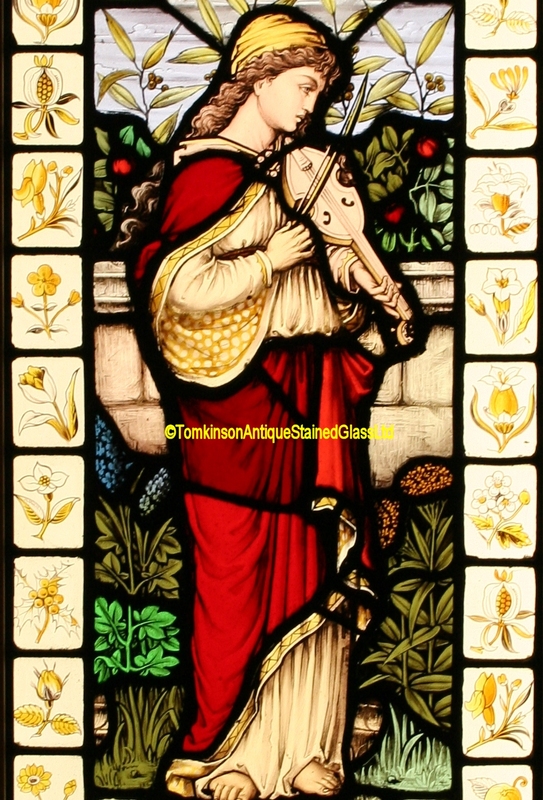 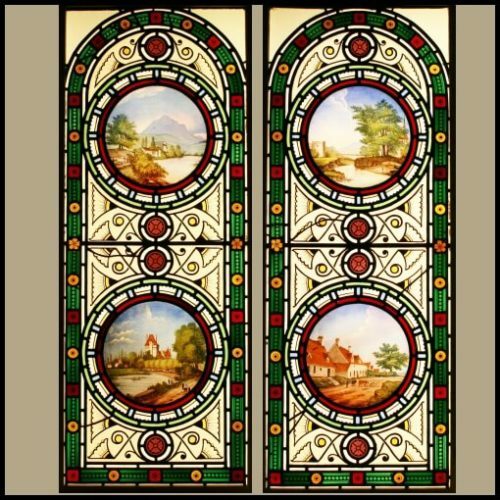 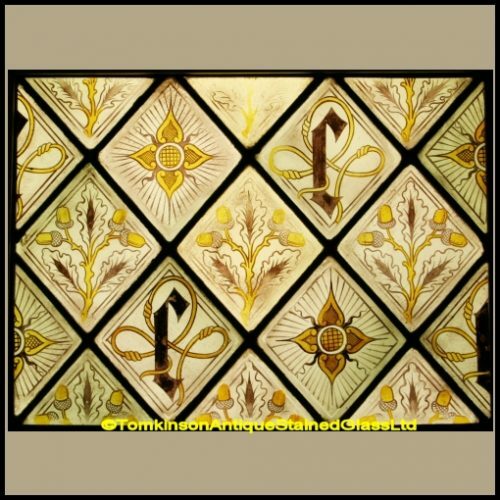 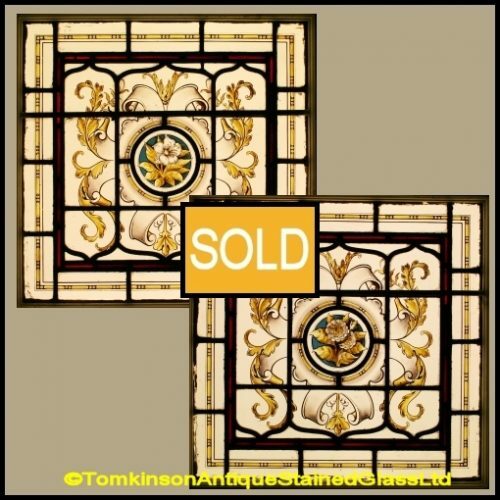 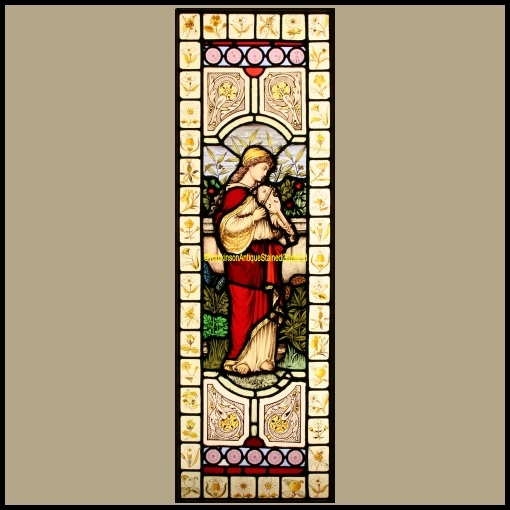 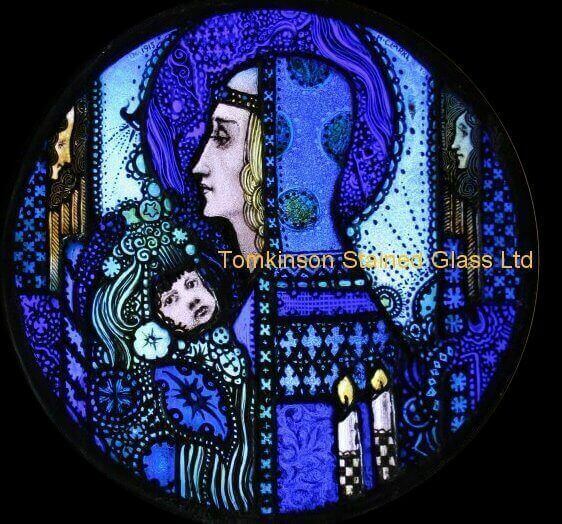 Lovely decorative antique stained glass window hand painted depicting a Pre-Raphaelite classical maiden standing in a garden and playing a violin. 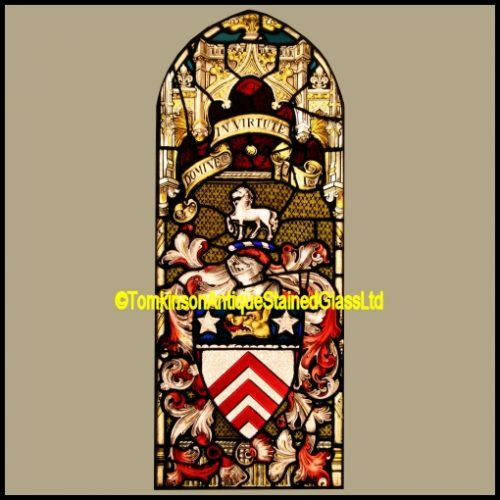 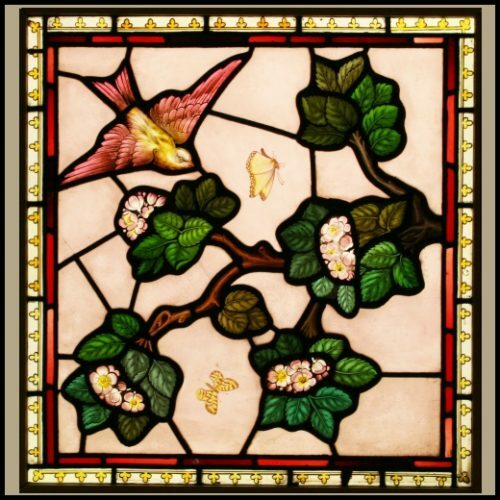 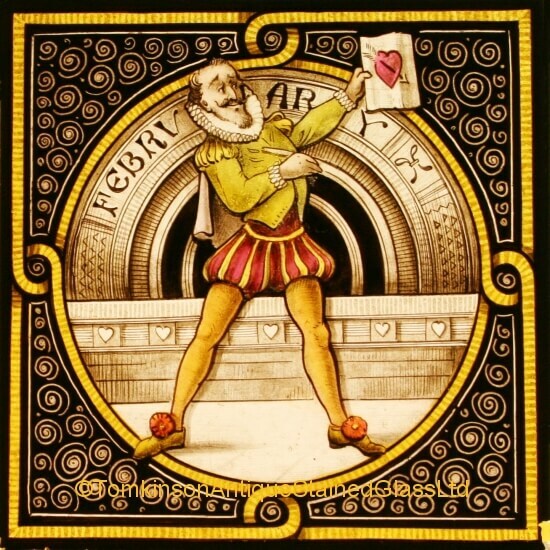 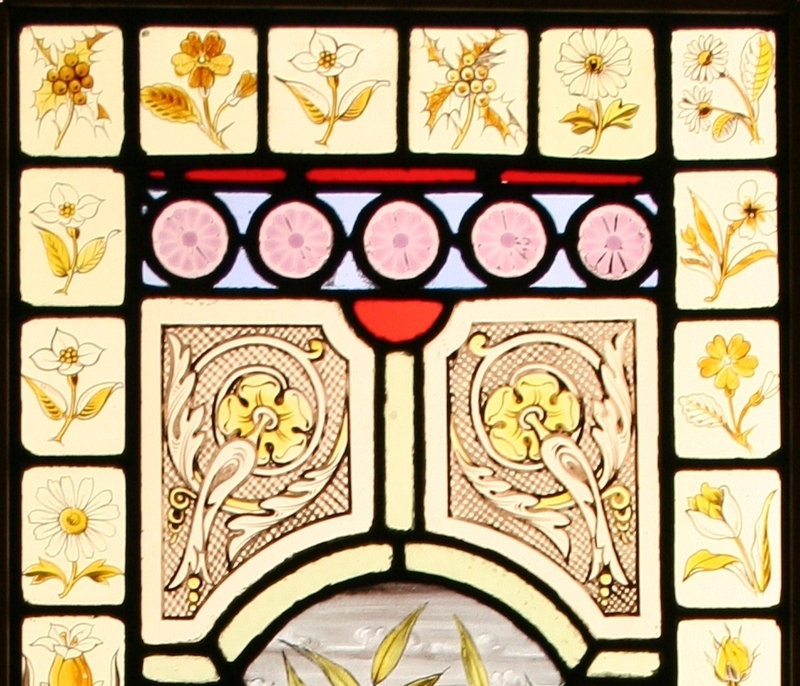 Leaded into the window are pink raised molded roundels and an outer border of various flower squares. 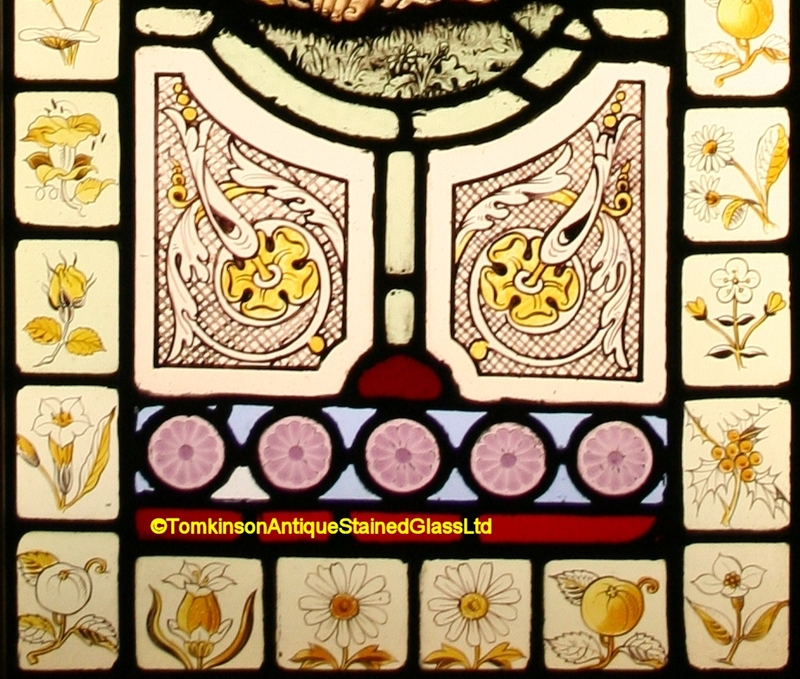 With slight restoration the panel is in excellent condition.